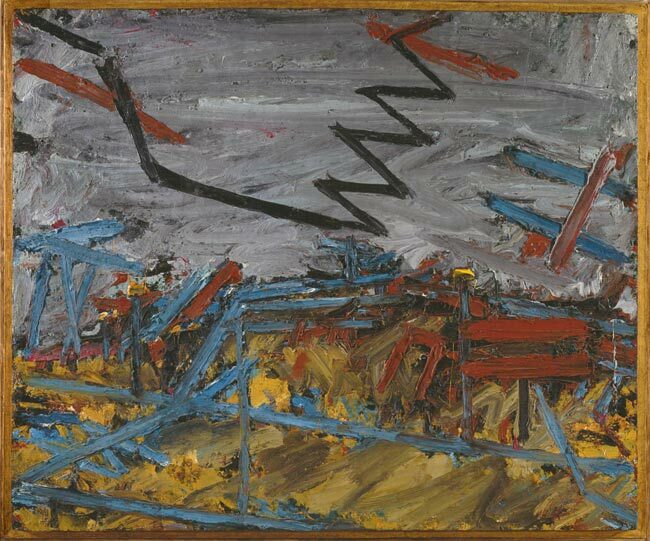 Frank Auerbach, “Primrose Hill,” oil paint on board, 1967-8. Collection: Tate, London. Though they likely never met, British painter Frank Auerbach (b.1931) and American poet William Carlos Williams (1883–1963) are seen here walking the primrose path together up and around Primrose Hill.